The Chrome MonstroBot is a Physical type weapon that is an upgraded version of the Sandstorm MonstroBot. The Chrome MonstroBot is not sold by any Trapsmith. It can only be crafted given the proper ingredients. It cannot be refunded. 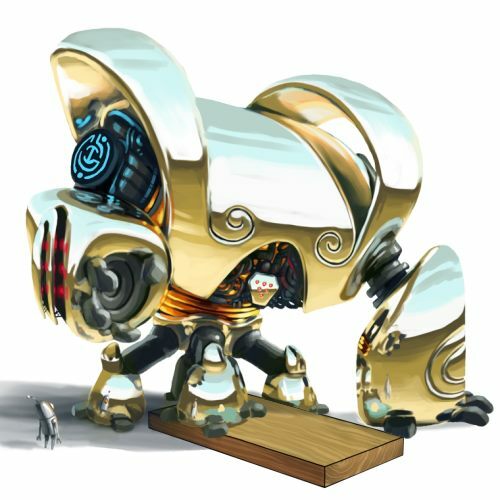 7 March 2013: The Chrome MonstroBot was introduced as part of the MouseHunt's Fifth Birthday event. The Chrome MonstroBot is the sixth Chrome weapon and the first that is not Limited Edition.